Wi-Fi Technology: 802.11ac/n/g/b/a Dual Band · Beamforming: Boosts the speed, reliability & range of your Wi-Fi connections · Antenna: 4× 5dBi External · Ethernet: 1 × WAN port & 4 × LAN fast port (10/100Mbps) · Buttons: WPS, Reset · Security: WPA/WPA2-PSK, Firewall, Parental Controls, Guest Network. Easy to setup,Following the instructions, you can set up the router in 5 minutes. 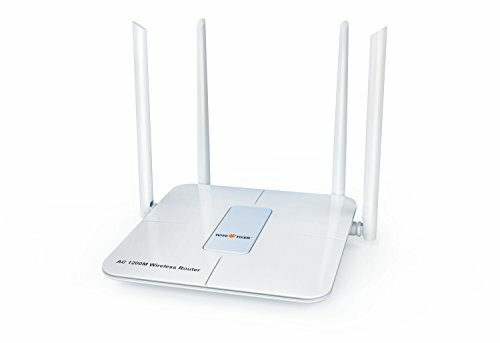 You can use telephone technology support service from the United States, which is completely free for buyers of wise tiger wireless routers.